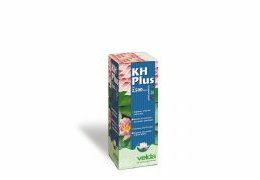 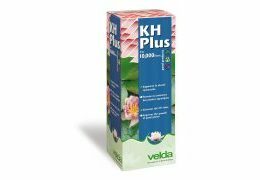 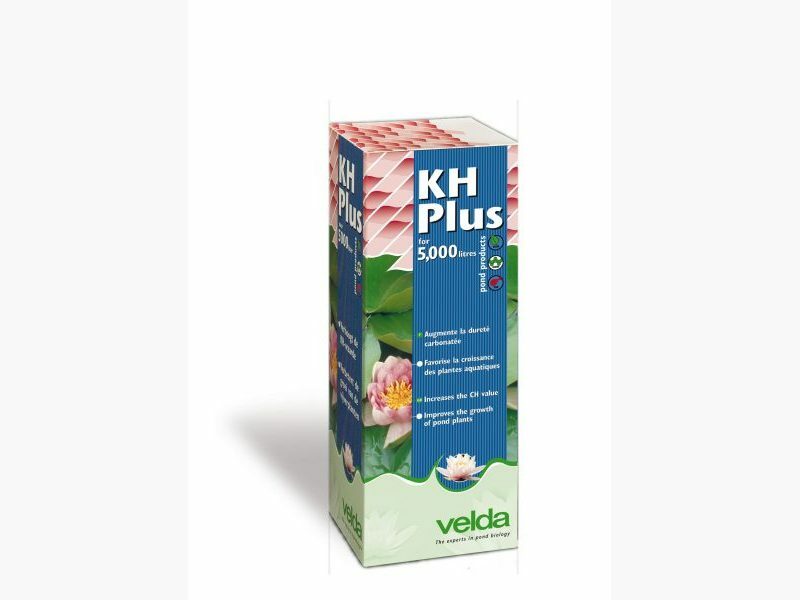 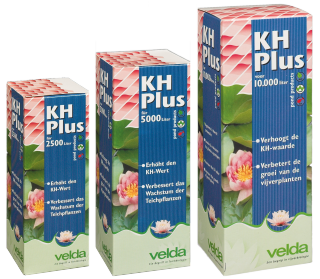 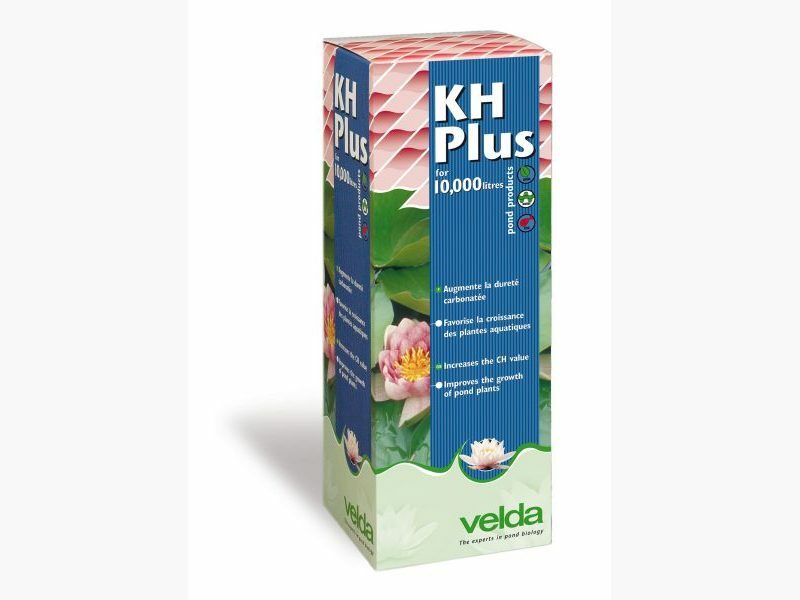 KH Plus increases the carbonate hardness (CH value) of the pond water. 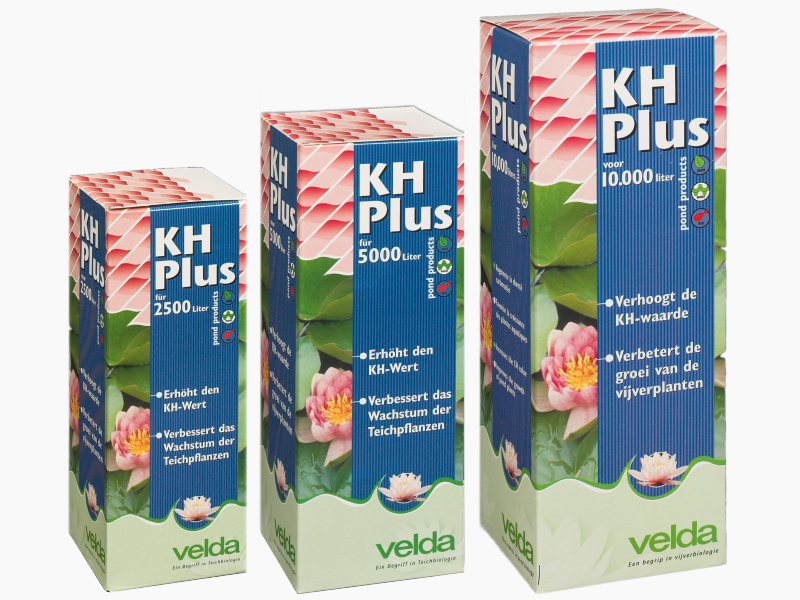 Just like the general hardness, this CH value is expressed in German degrees of hardness (GH). 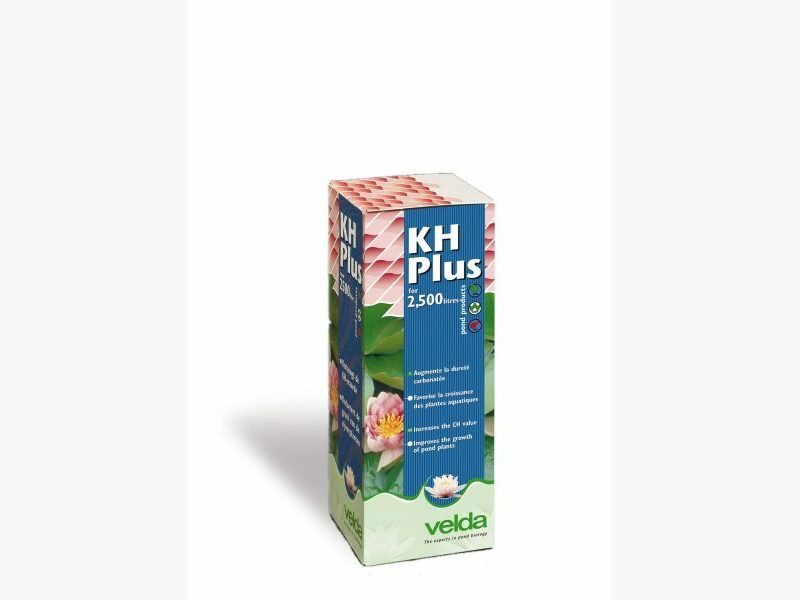 A satisfactory high value (6 to 8 °GH) fights acidity in pond environment and ensures proper development of oxygen producing plants, owing to bound CO2.